4 Fantastic Bouncy Super Slides ( water slides ). We have the slides in Blue, Red, Pink and Purple. 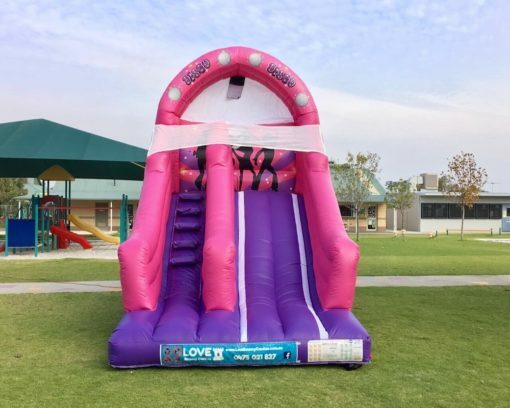 These slides can be used with the free disco ball & bluetooth speaker or turn it into a water slide by using your hose on those red hot summer days ! Only $50 deposit needed to secure your castle or slide.